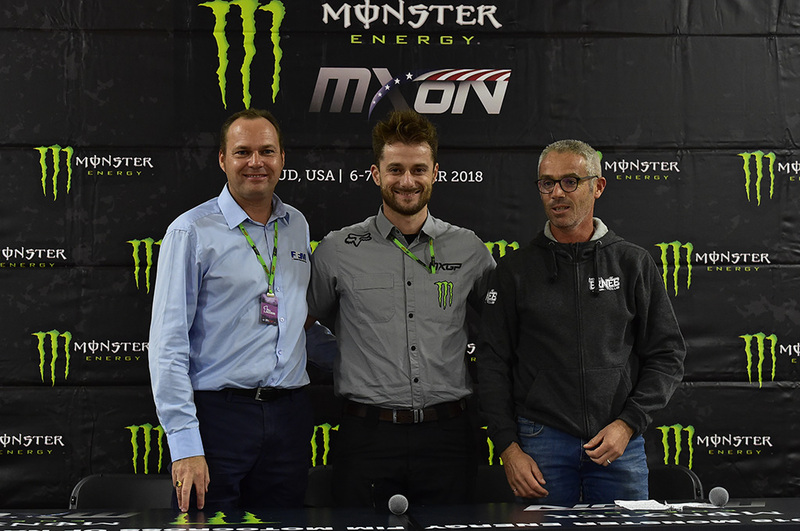 REDBUD (Michigan, USA) 06 October 2018 - Today just after the Qualifying races of the 2018 Monster Energy FIM Motocross of Nations at RedBud, Youthstream and the French Motorcycling Federation proudly announce that Ernée, France will again host the prestigious event in 2020. The venue of choice for the 2005 and 2015 editions of MXoN the Ernée Moto-Club will once again host this mythical competition. The announcement was made official today by Youthstream Vice President Mr. David Luongo, Managing Director of the FFM Mr. Sébastien Poirier and President of the Ernée Moto-Club Mr. Philippe Lecomte. Photo from left to right: Managing Director of the FFM Sébastien Poirier, Youthstream Vice President David Luongo, President of the Ernée Moto-Club Philippe Lecomte.